A Parent’s Guide to Technology – a guide to help parents better understand the various digital gadgets and mobile devices kids are using today, including smartphones, gaming systems and internet-enabled mobile devices. Young People and Social Networking Sites – this leaflet (PDF) serves as a guide for parents, care givers and teachers about social networking websites. It includes insights into the often ignored age restrictions of Facebook, MySpace, Twitter and other popular sites, with advice about online privacy, tips for the various types of content that can be shared, and more. Google UK maintains this family safety website to provide parents and teachers with tools, tips and advice about how to control the content their children see online, plus other resources to help kids understand how to use Google services safely. Vodafone is a British multinational telecommunications company headquartered in London, United Kingdom. Vodafone put together this online portal to compliment its Digital Parenting magazine, and to help parents come to terms with and get involved in protecting children in their digital world. The website includes age-specific safety checklists for newly handed down mobile devices to children, and other resources to help better understand the key technologies behind the Internet and apps kids are using. A growing resource library of self-help tip sheets, studies, and infographics intended to help people protect themselves, their family and their devices and personal information. It seems that every day we encounter a new internet scam, phishing attack, or ransomware campaign. These five tips from Stay Safe Online powered by the National Cyber Security Alliance will help the general user better understand their online security and safeguard their personal data and privacy. An online safety resource center from the National Home Security Alliance. The Firefox web browser has long incorporated features to help make surfing the Internet safer. This website discusses some of those features, including ways to protect your privacy, how to browse with security and how to stay in control. 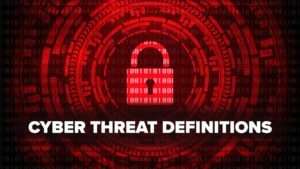 Compromised (stolen or hacked) websites continue to be an attractive target for cybercriminals who benefit primarily from the misuse of reputable domains. Cybercriminals are also able to make use of resources like processing power, bandwidth, and the hosting available via compromised web servers. In order to better understand the comp romise process, illicit usage, and recovery of hacked websites, StopBadware and Commtouch surveyed over 600 website owners and administrators whose sites had been compromised. This document reviews the survey and its results, and includes tips to help website owners prevent their sites from being hacked or compromised. Tips to help webmasters and owners determine if their website has badware which often results in a “Reported attack site” or “This site may harm your computer” alert message when viewing it within a web browser. Sammy’s Guide provides a variety of interactive games, lessons, resources, and quizzes that teach you about how to stay safe online, what information should be kept private, how to combat cyber bullying, and much more. This tool and resource provides insights and data to help children and young adults at any age stay safe and get the most out of their online experiences. The following companies, organizations, and committees help curate the internet to keep it free from objectionable content and safe for users of all ages. Childnet International is a non-profit organization working with others to “help make the Internet a great and safe place for children.” This organization has produced many award-winning projects including Childnet Hub, with top tips, competitions, blogs and advice to help use the internet safely, responsibly and positively. The IWF was established in 1996 by the internet industry to provide the UK internet Hotline for the public and IT professionals to report criminal online content in a secure and confidential way. The Hotline service can be used anonymously to report content within the IWF’s remit. The IWF works in partnership with the online industry, law enforcement, government, and international partners to minimize the availability of child sexual abuse images hosted anywhere in the world, criminally obscene adult content hosted in the UK and non-photographic child sexual abuse images hosted in the UK. zvelo is a proud member of the IWF. i-SAFE is a blended compliance enterprise solution that combines the power of technology, traditional curriculum and the influence of social media to educate and empower students through cutting-edge e-Safety education platforms.. This organization maintains X-BLOCK, the place for students to hang out, learn about cyber safety and share their online experiences with others. i-SAFE also provides resources for educators and parents. This is a not for profit, charitable trust company, funded by 15 Local Authorities across the South West of England. It provides maintained schools and many other educational establishments throughout the region with safe, secure and reliable broadband internet connectivity; broadband-enabled learning resources and services and help, support and advice in using the internet safely. They offer an Online Safety Services web page for parents, schools and young people. This online guide was put together by O2, a leading provider of mobile and broadband services to consumers and businesses in the UK. The guide helps adults understand what kids really do on their mobile devices and the Web. I also serves to help parents and kids more openly discuss online risks, so they know how to protect themselves.